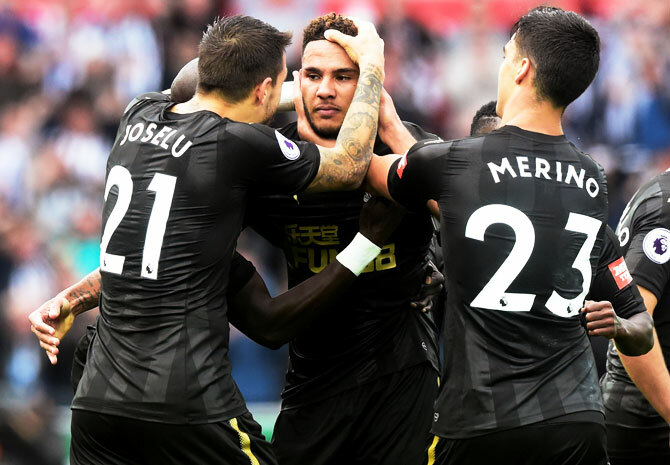 Newcastle United captain Jamaal Lascelles saved a certain goal at one end before scoring his side's winner in a 1-0 victory at Swansea City in the Premier League on Sunday. Lascelles powered home a close-range header from Matt Ritchie's corner in the 76th minute to give Newcastle their second successive victory after losing their first two games. Just past the hour mark defender Lascelles made a last-ditch intervention as Swansea's Tammy Abraham rounded Newcastle keeper Rob Elliot and shot goalwards only to see Lascelles move in and prevent a certain goal. Swansea gave a debut to new loan signing from Bayern Munich Renato Sanches but the Portuguese midfielder faded. Newcastle had the best chance before the break when striker Joselu's flicked header was superbly saved by Lukasz Fabianski. Alfie Mawson headed wide for the hosts before the break while Tom Carroll's left-footed volley was well saved by Elliot shortly before Lascelles's saving clearance. Newcastle have six points to Swansea's four. 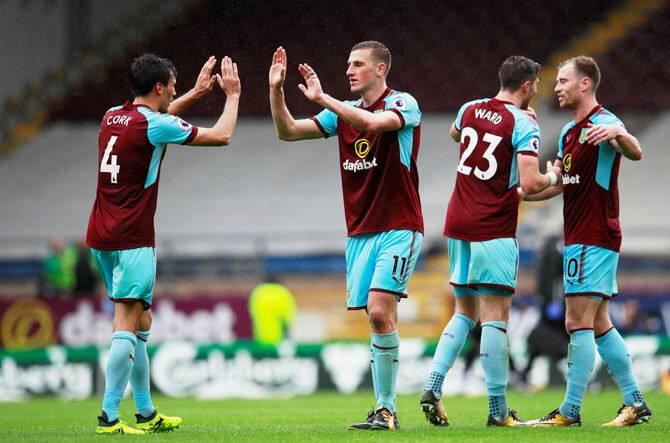 Burnley's Chris Wood scored on his home debut on Sunday in a 1-0 victory over Crystal Palace, whose Dutch manager Frank De Boer will be under increased pressure after a fourth straight defeat. An awful back pass from South Korean midfielder Lee Chung-yong gifted the third-minute opener to Wood, with Burnley's recent club-record signing from Leeds United confidently firing past Wayne Hennessey. Burnley's England international goalkeeper Tom Heaton had to be substituted in the 36th minute after suffering a shoulder injury, handing reserve Nick Pope a Premier League debut. Palace dominated the second half but Pope produced a superb save with his feet to foil Christian Benteke in the 80th minute and in the final stages Scott Dann missed a golden chance, heading wide from three metres. There has been widespread speculation about the future of former Ajax Amsterdam coach De Boer, who arrived at the London club amid talk of transforming the team's style but who has yet to gather a point. De Boer will be encouraged by the effort and commitment of his team, who will leave Lancashire feeling they deserved at least a draw, but ruing their failure to convert their overwhelming possession after the break into a goal. Wood, who scored on his Burnley debut by grabbing the equaliser at Wembley against Tottenham Hotspur, did not have long to wait to show his new fans his finishing ability. The New Zealander, who cost a reported 15 million pounds ($19.80 million) when signed last month, latched on to Lee Chung-yong’s dreadful attempt to return the ball to his keeper and showed no hesitation as he fired home. Palace, however, responded strongly. A Dann shot from a corner was cleared off the Burnley line by Matt Lowton and then Benteke headed just wide from an Andros Townsend cross. Burnley could have gone two up when Sam Vokes’s angled header from a Stephen Ward cross flashed just wide of the far post, but after the departure of skipper Heaton, the hosts lost their rhythm and Palace were firmly on top after the break. Palace’s Jeffrey Schlupp should have done better when he fired over from inside the area, but at the other end Burnley sub Ashley Barnes forced a fine save out of Hennessey with a curling left-foot shot. That was the last effort from the hosts as they battened down the hatches and scrapped to hang on to the three points, which they managed to do thanks to Pope’s excellent save from Benteke and Dann’s awful miss. Burnley moved up to seventh on seven points while Palace remain in the relegation zone, with Bournemouth and West Ham United also yet to get a point.